Full bust portrait of George Washington, facing left, and wearing a black coat, a cravat, a jabot and a ribbon tying back his hair. He is set against a grey background. Printed below image on left in italic script: "Imp Fois. Delarue, Paris." Printed below image centered in block script: "Entered according to the Act of Congress in the Year 1854 by W. Schaus in the clerk's office of the District Court of the United States for the southern district of New York." 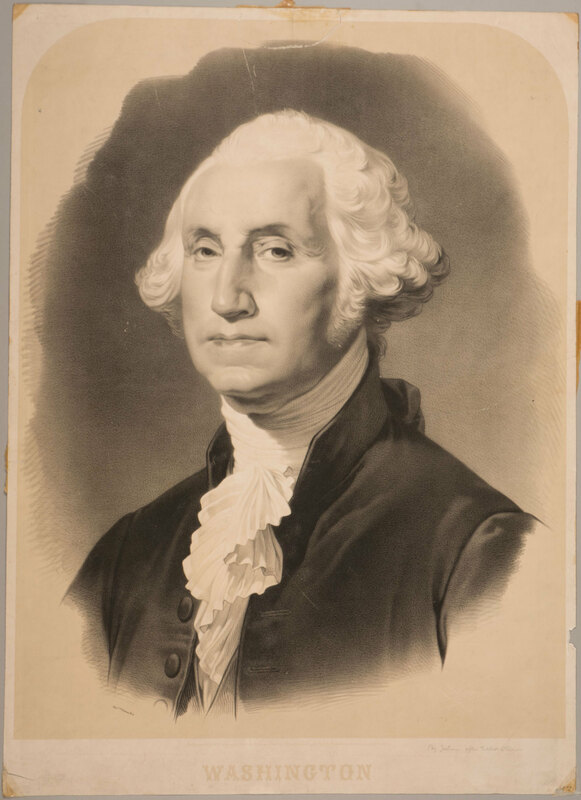 Printed below image centered in block script: "Washington". Bottom right corner of image in white: "Julian".